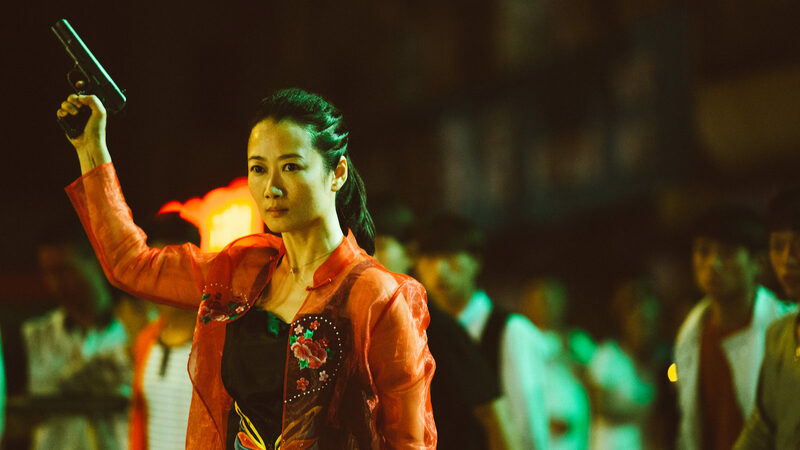 Jia Zhangke's ASH IS PUREST WHITE is nominally a gangster film. It is actually the arc of a relationship between a young woman and her gangster boyfriend over an 18 year period. Qiao is an important part of the life of her boyfriend Bin's life. She acts in his behalf and takes care of things that have to be taken care of. She is given a great deal of respect by the other gangsters. When Bin, Qiao and their men are beaten up by a gang of young toughs on motorcycles she pulls an illegal gun and saves everyone's life. This ends up sending her to prison for five years. However when she gets out Bin is nowhere to be found. Qiao then goes off to investigate why. This is a solid and intriguing drama about a very complex relationship of the sort you don't see in most films. Rarely do we ever see a film which doesn't end in either happily ever after or utter heartbreak. This is something else entirely as we see that there is more to romance than just being in love. Pride, history and a whole boatload of emotions are involved. This is the sort of film that only Zhangke could make. However since this is a Zhangke film it also has some of his less positive traits. First the film is very much set in the China where Zhangke lives. This isn't a bad thing because it makes the film very much alive, however like TOUCH OF SIN and MOUNTAINS MAY DEPART there are shades to the film that are only apparent if you are Chinese. There are nuances to the politics, references and society that make ore sense if you share his view of the world. The other problem with the film is it runs almost two and a half hours and it feels it. While much happens in the film, there is a point where you realize that there isn't enough to support a film of this length. This is ultimately a love story but not a strong enough one to run as long as it does. However this being a Jia Zhangke film quibbles are pointless. No one is attempting to do the things that the master is doing. As with all Zhangke films ASH IS PUREST WHITE is recommended.